A stunt driver tears around a banked track in a sophisticated and athletic automobile. Lights blur. Wheels spin. A speedway fence shakes. 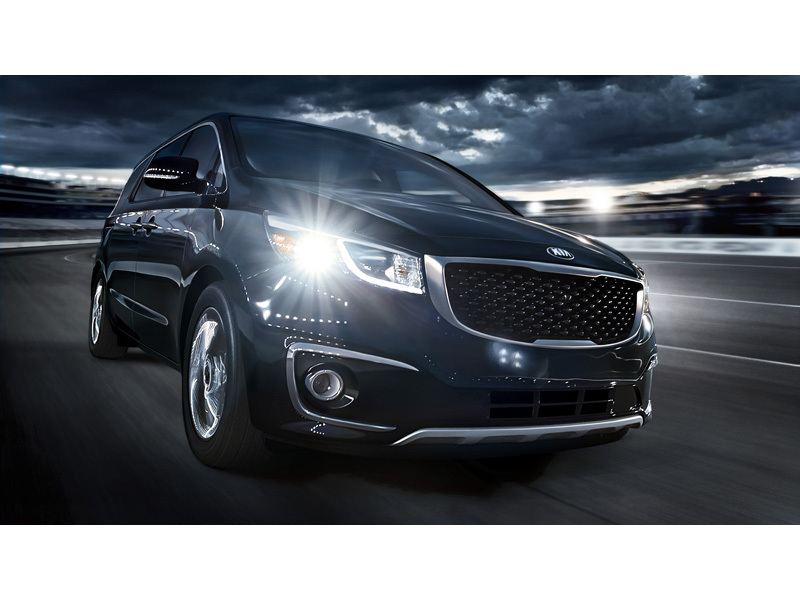 And three passengers in racing suits and helmets are oblivious to the goings-on as they stretch out and get comfortable in the innovative first-class lounge seating and serenely quiet environment of the all-new 2015 Kia Sedona. Unlike anything in its segment, today Kia Motors America (KMA) introduces the completely redesigned Sedona in a multiplatform marketing effort set in a world where the MPV – with its European-inspired design, rigid chassis, unique center console and long list of advanced technologies – is treated like a sports car. In "Race Track," the first in a series of ads that playfully challenge the stereotypes and conventions of high-end, high-performance vehicles and the people who drive them, the new Sedona is portrayed as "not what you'd expect" and "not a compromise" before the campaign tagline – "It's not a sports car. It's a Sedona" – appears. "The element of desire was a major theme in the design and engineering of the all-new Sedona, and our campaign was conceived to signal that something different is going on at Kia," said Tim Chaney, vice president of marketing communications, KMA. "Sedona brings new levels of style and sophistication to a bland and predictable segment for the growing number of people who do not want to be confined by the conventional design limitations of the category."